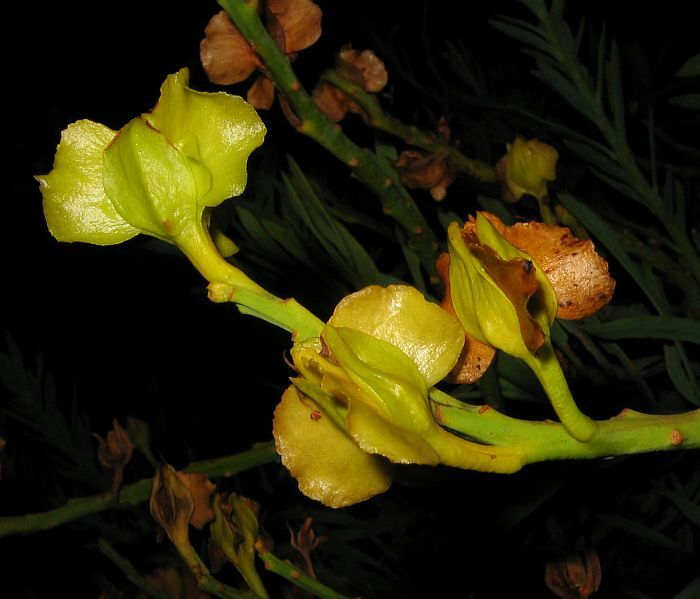 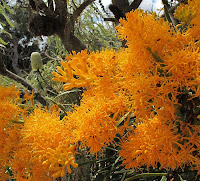 Nuytsia floribunda is a true mistletoe and belongs to the Australian mistletoe family Loranthaceae, which in WA also includes the genera Lysiana and Amyema. 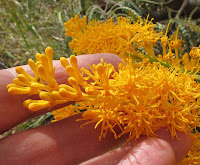 However, Nuytsia floribunda differs in several respects; firstly it is a root parasite and does not grow directly on a host plant. 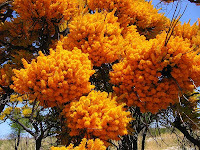 Secondly, it does not need the Mistletoe Bird, Dicaeum hirundinaceum, to spread its seed. Thirdly, its seeds are not a soft edible drupe typical of other mistletoes, but a dry three winged seed, which is dispersed by the wind, and fourthly it grows to 10 metres (33’) as a tree and not like a small bush attached to the host plant. There are of course many other differences, but the above are the most obvious. 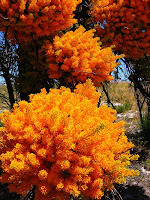 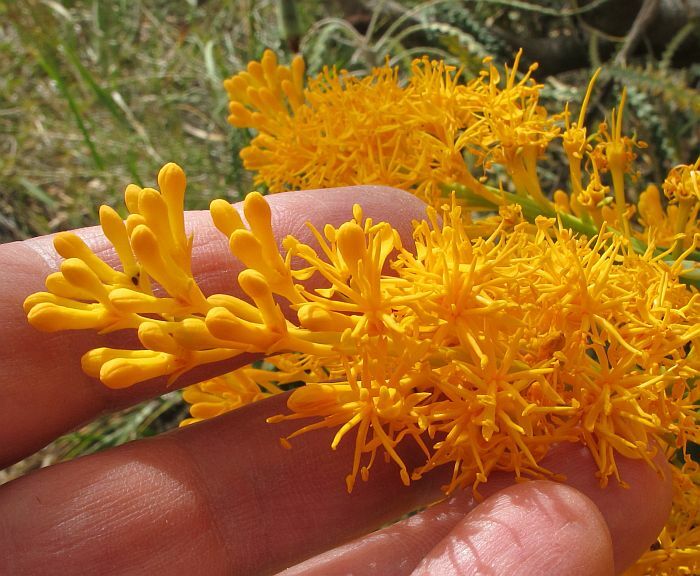 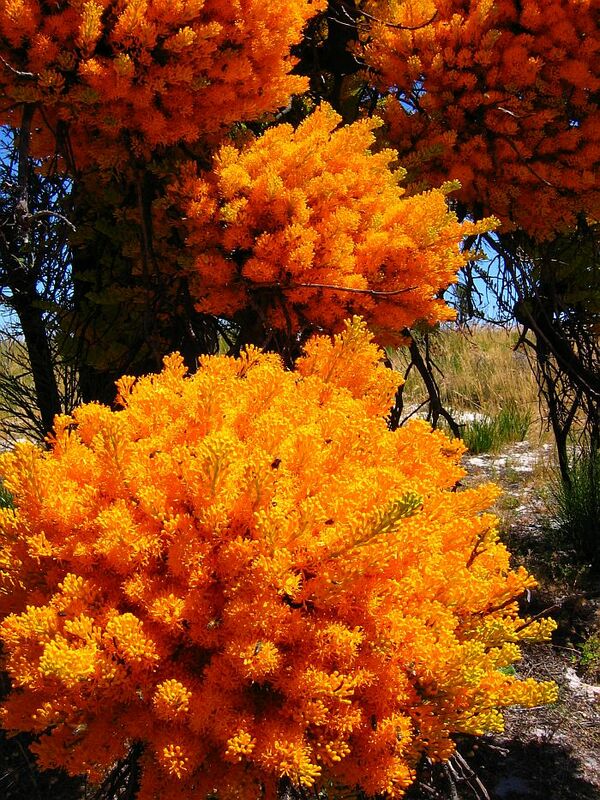 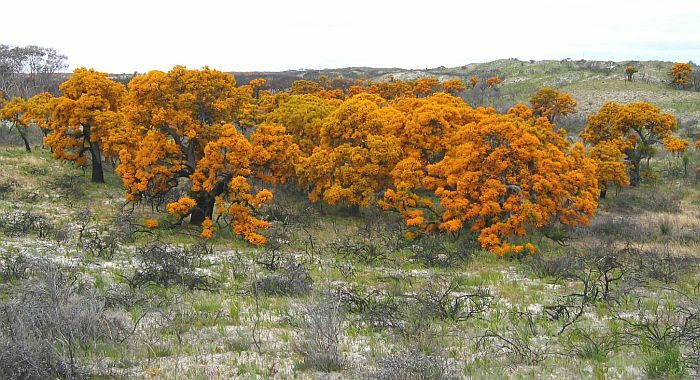 Commonly known as the WA Christmas Tree, Nuytsia floribunda is extremely common and widespread, mostly within 50 km (30 miles) of the coast from north of Geraldton to Israelite Bay abutting the Nullarbor region. 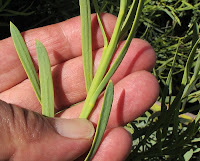 It is not particular of soil type or even drainage providing it is not waterlogged for prolonged periods, nor is it specific to a host, as it will attach itself via a haustorial collar to extract nutrients from almost any host plant. 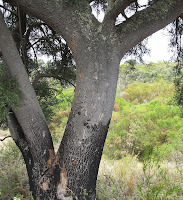 They will even attack underground electric cables to short out the entire house, unless protected within a PVC pipe. Small irrigation pipes are also destroyed by the roots of this plant, so it can be an expensive addition to a domestic garden and one few neighbours will appreciate. 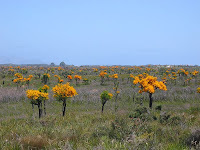 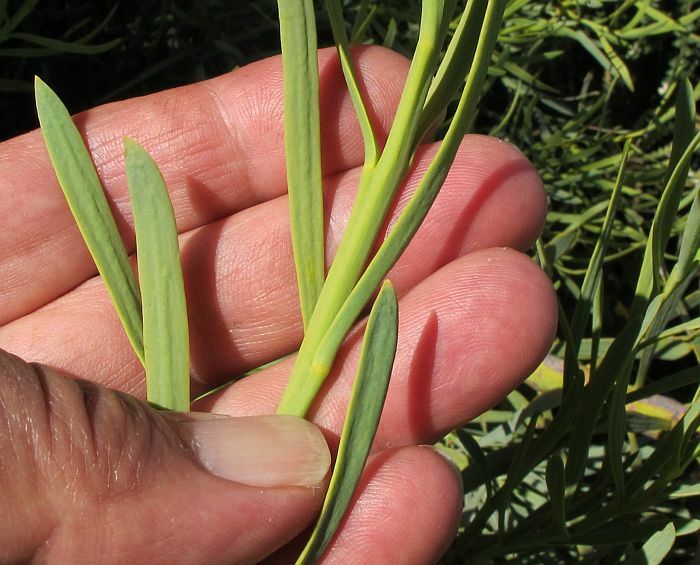 This highly adaptable plant is able to survive in paddocks where all native vegetation has been removed and replaced exclusively by introduced grasses. 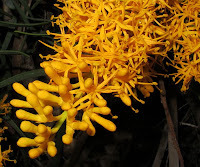 Also despite its spectacular flowers and ornamental desirability for garden use, it will hunt down the roots of most plants within a 50 metres (55 yards) radius and unless they can quickly develop alternative roots, will die within a few years. 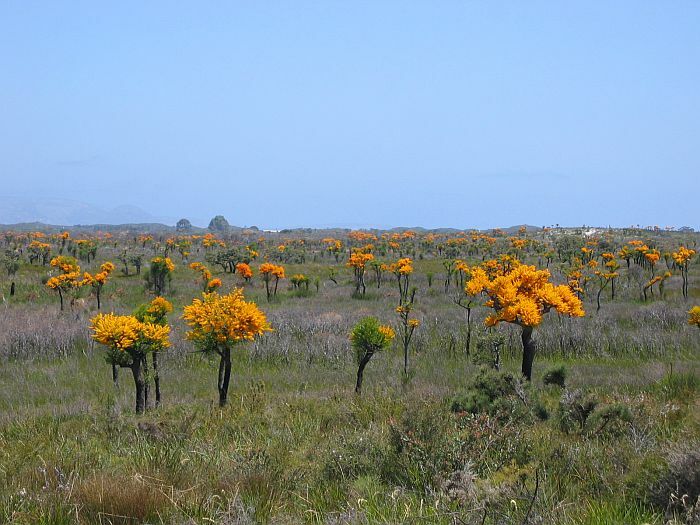 Nuytsia floribunda is also difficult to permanently remove, as they will rapidly regrow their trunk if knocked over, providing the rootsystem is not too badly damaged. 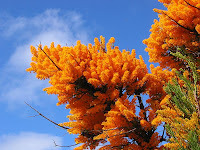 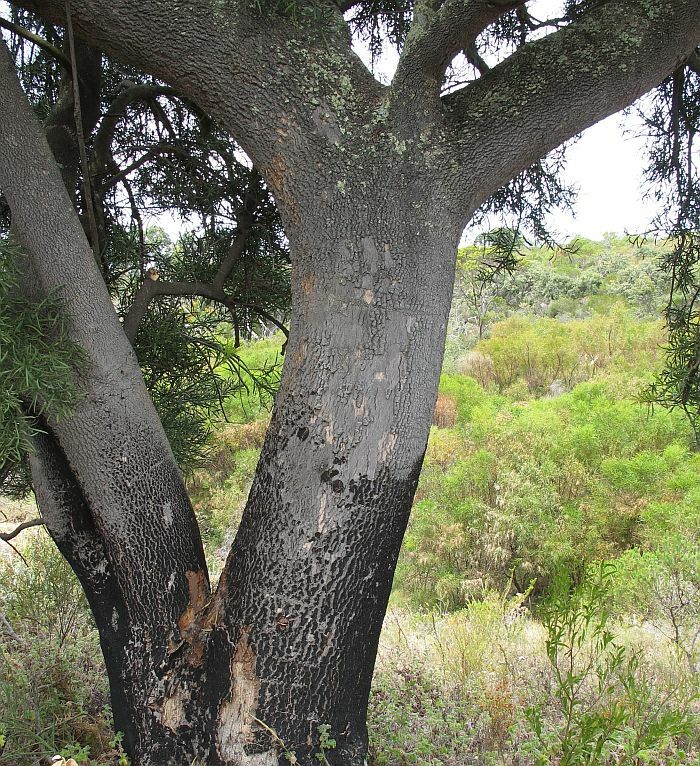 The WA Christmas Tree as its name suggests tends to flower over the Christmas period, but most young or small plants will not flower at all unless there has been a bushfire, when most will bloom prolifically, even those at knee height. 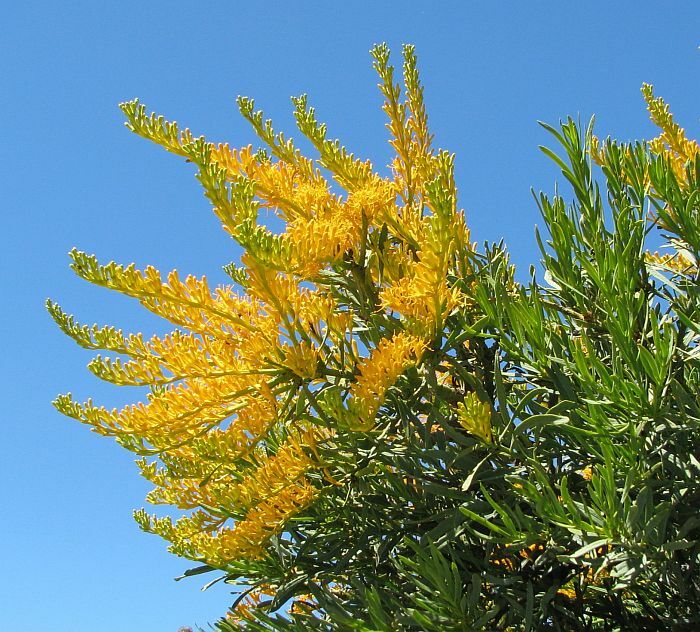 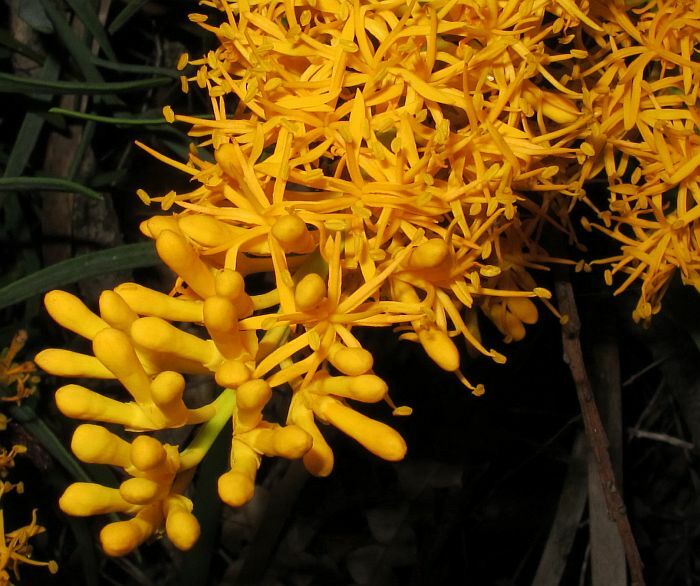 Initially the buds are yellow/green, but as they mature they change to yellow, with many going on to produce the most vivid orange color imaginable. 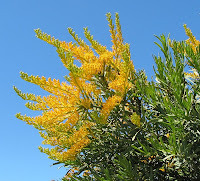 However, some remain yellow, but even their intensity will vary from day to day depending on sunlight intensity. 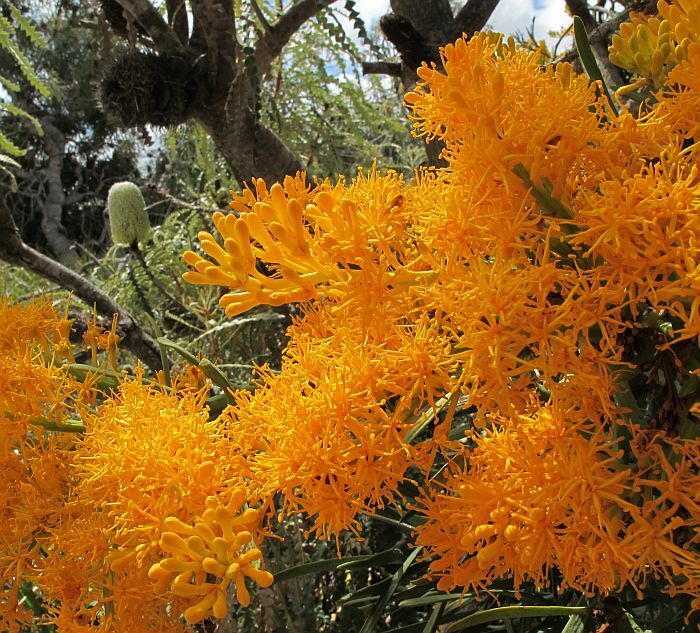 The flowers are arranged in threes on long stems that can form large floral bunches, some of which may be a metre (over 3’) in diameter. 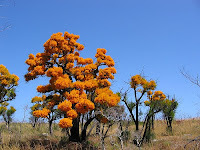 Nuytsia floribunda is recorded flowering from October to January, but locally November to February would be more usual, with odd blossom occurring even later. 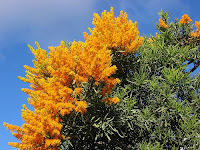 I have included more photographs than usual as it is difficult to decide what to leave out.